With the average cost of a wedding nearing $30,000, many couples are looking for easy ways to save money without sacrificing style. Wedding flowers and decorations can be very expensive. But with a little creativity and knowhow, you can make beautiful, affordable wedding centerpieces yourself. At your wedding reception, your centerpieces will be a focal point. They can range from whimsical and fun to stylish and elegant. Though you may choose to purchase floral arrangements for your centerpieces, for something different (and less expensive), you can make them yourself. Here are five terrific ideas for do-it-yourself wedding centerpieces. Buy several large, shallow heat-resistant bowls. Place one bowl filled with water on the center of each reception table. 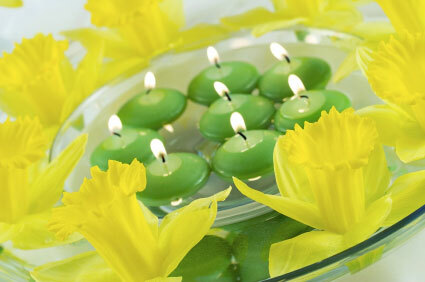 Put several floating candles in each bowl, along with a few flower blossoms. You can get the flowers at your local grocery store or wholesale flower market for cheap. Carnations, gardenias and other inexpensive flowers are good choices. To add a little color, you can place a few drops of food coloring in each bowl. For a beach themed wedding, head to the nearest home improvement store and purchase tin sand buckets. To create your wedding centerpiece, fill each bucket halfway with sand then place a large pillar candle in the center. 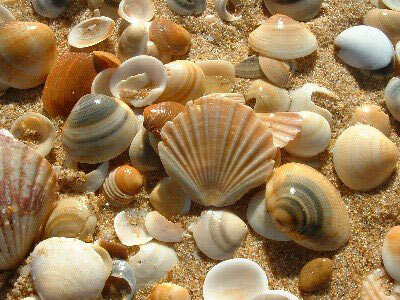 You can surround the candle with seashells and other nautical trinkets. 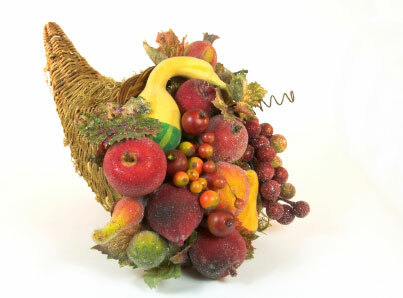 For a fall, or even winter wedding, a cornucopia of fruit is the perfect centerpiece. You can pick up cornucopias from your local craft shop and fill them with a variety of colorful fruit from the market. Give the fruit a dusting of sugar to a add a little bit of sparkle. If you can't find cornucopias, straw hats turned upside down and filled with fruit will also fit into the fall theme. These centerpieces are extremely affordable, plus the fruit will give your guests something extra to munch on during the reception. A very simple, elegant centerpiece can be a picture frame holding photographs of the bride and groom as children. Buy vintage frames from garage sales and thrift shops to save a few bucks. On the reception tables next to each frame, place a small, hard bound journal with blank pages. Each guest at the table can take a few minutes to write in the journal about their fondest memories with the couple. The journals are a different twist on your traditional guest book, which doesn't normally allow enough room for personal anecdotes or special notes. For a very simple D-I-Y wedding centerpiece, all you need are some wicker baskets along with silk flowers. You can pick these up at your local craft or dollar store. Choose baskets that are wide rather than tall. 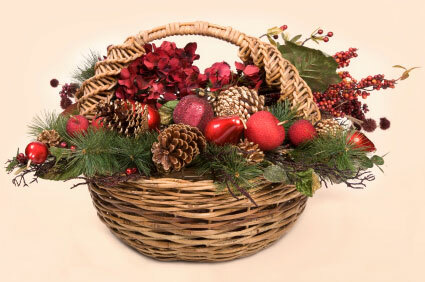 Arrange the flowers in the baskets and place them on the center of each table. For a spring or summer wedding, use silk flowers in bright or tropical colors. For an autumn wedding, mix in gourds with the flowers to match the fall theme. For a winter wedding, add in pinecones and branches (fake or real), along with red silk flowers. Be creative. Anything and everything can be used as a wedding centerpiece, from drinking glasses to small potted plants. When you are creating your centerpieces, remember that you don't want them to be too tall. A person should be able to see the guest directly across the table without leaning or stretching. To get more ideas on D-I-Y centerpieces, walk the aisles of your local craft store. They will have a variety of baskets, ribbons, vases, trinkets and other items that you may be able to incorporate into your centerpieces at a very low-cost.